close friends on March 20, 2014 at the age of 95. He was born to Harry and Nora (Nolan) Connor on November 28, 1918 in Charlestown Massachusetts, an Irish Catholic community in the city of Boston. father and three younger brothers, his Roman Catholic faith, the impact of the Great Depression and his love of sports. He once said that as long as a ball was involved he was willing to give it a try but he didn't turn up his nose at water sports and hockey. As a young man he was introduced to the game of golf and it became his leisure activity of choice for the rest of his life - he was still hitting the links into his tenth decade. Through the sponsorship of his parish priest, he was able to attend Boston College High School for two years. Upon the death of Father Chamberlain he completed his last two years, graduating from Charlestown High School. Chuck work for Patton's Restaurant in Boston in various capacities. He also worked as paymaster for Rappoli Construction Company which he enjoyed and may well have been his life's work if World War II hadn't intervened. He was drafted into the Army and stationed in Sioux Falls. He met Jeanne Swenson at the Arkota Ballroom on a blind date. They were married in Sioux Falls on August 21, 1943. Shortly after the wedding he was shipped overseas and spent two years in Normandy, France. He was honorably discharged at the end of the war and along with his father-in-law and brothers-in-law he founded, developed and grew the business which began as Swenson Hardware and, through various changes, became the "Handy Man" stores. The business remains a going concern in Sioux Falls, owned and operated by his nephews. Upon his retirement, he and Jeanne moved to Mesa, AZ. Chuck and Jeanne suffered a difficult loss with the death of their oldest son Tom in 1997. In 2000 they sold their home in Mesa and returned to Sioux Falls for health reasons to be closer to family and friends. Jeanne died in 2003 and Chuck continued to live independently in his apartment at the Dow Rummel Village and stayed active well into his nineties. 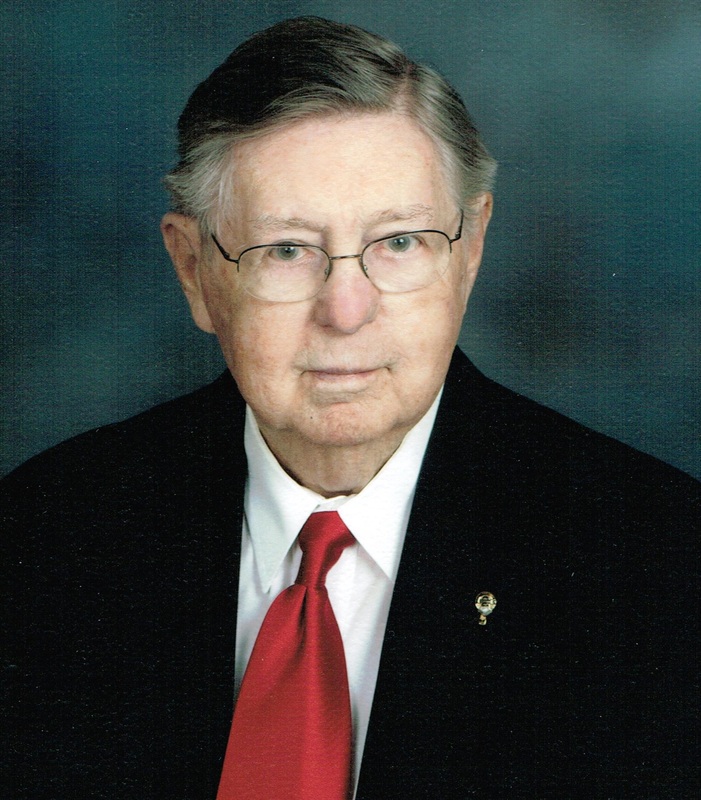 He continued to play golf, make new friends and rekindle old relationships among people he met as a member of the Sertoma Club, Minnehaha Country Club, his church involvement and his business associates. He was involved in activities at Dow Rummel and was fortunate to reside across the hall from Betty Kime who became a close family friend. Chuck is survived by his loving family; son Mike (Judy) Sioux Falls, daughter Pat (Phil Moore) Salinas, CA, his grandchildren Ryan Connor, Chicago, Ill, Andrew Connor, Kansas City, MO, Charlie Connor-Moore, Salinas, CA, Catherine Connor-Moore, Oakland, CA. He is also survived by the widow of his son, Jane Connor, Bellingham, WA, his sisters-in-laws, Jodi Swenson, Sioux Falls, Arlene Connor, Medford, Massachusetts, Anne Connor, North Reading, Massachusetts. He was preceded in death by his wife, Jeanne and his son, Tom, also his three brothers, Harry, Joe and Bill Connor of the Boston area and his sisters-in-law Mary Connor, Shirley Rae Steineck, Coral Schneiderman, and Kay Assam and his business partner and brother in law, Mark Swenson. Halladay-Peterson Chapel at Dow Rummel.